We serve the Twin Cities Metro Area with all home improvement needs and specialize in making your home a better place to live. 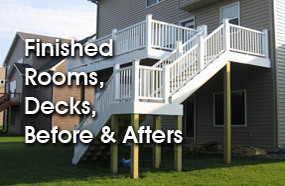 Randall’s Home Improvement is one of the best remodeling companies located in Minneapolis / St. Paul. 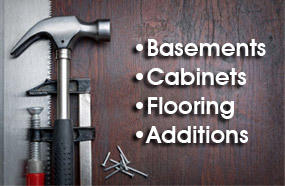 If you need your basement finished, create a rec room, build an addition, a new deck, or just need something fixed, we can help. We are centrally located in the Twin Cities and have been providing quality craftsmanship to our clients for years.